While my Mom and sis were here I thought it would be fun if we did a craft together. recycled crafts are all the rage I see these days. 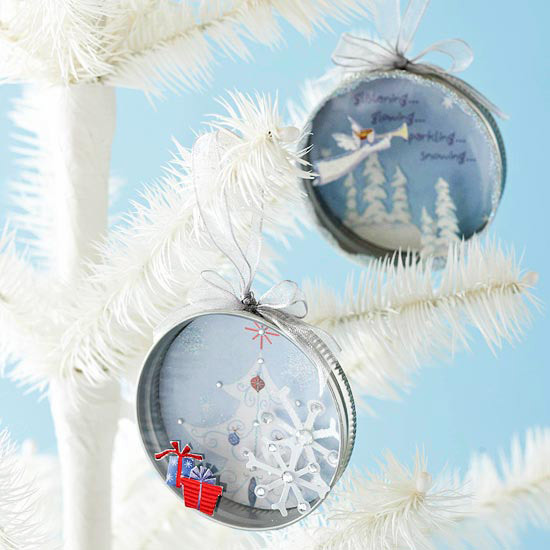 So why not make our own recycled jar lid ornaments. not so much. Not that she does not like to recycle…she just is not a big fan of these sorts of crafts. I insisted we do a recycled Christmas craft together. she did it with a smile on her face none the less. cleaned out my fridge first of course. one pickle always left in the jar. Sorry for the dark pictures…we did this in the evening. So first, I spray painted the lids. and cut the circle to size. We then mod podged the paper inside the lid. 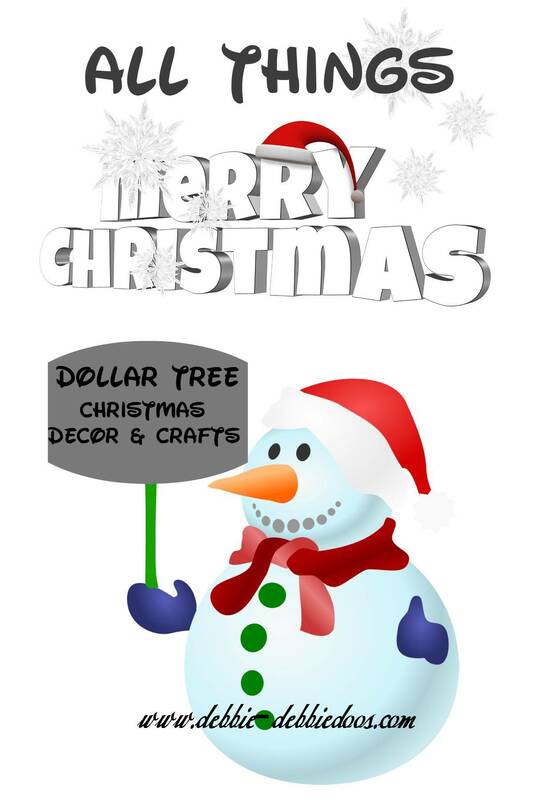 Our tree this year is mostly home made items….and vintage post cards. 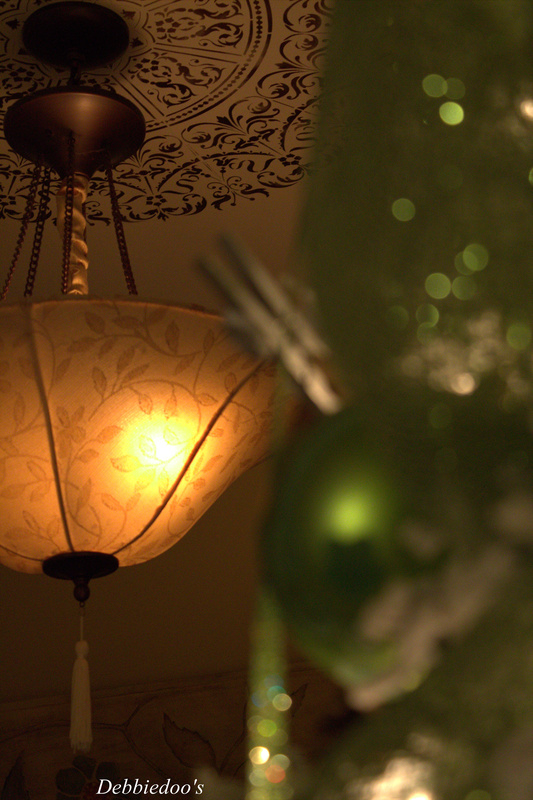 I sure hope I get to show you the tree soon. Time is flying and I still have so much more to do. 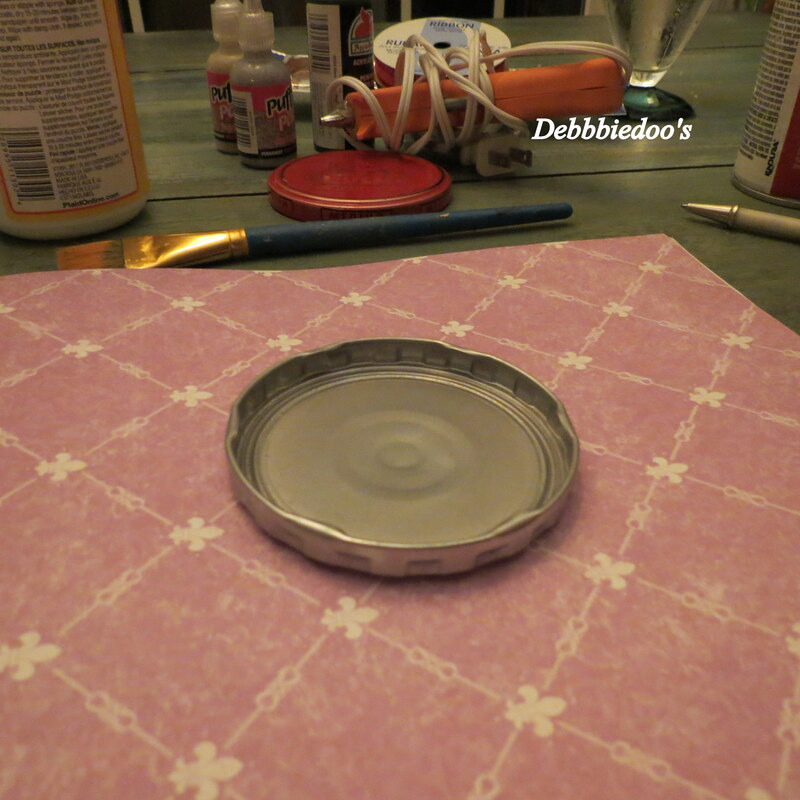 Stilling loving my stenciled ceiling medallion. 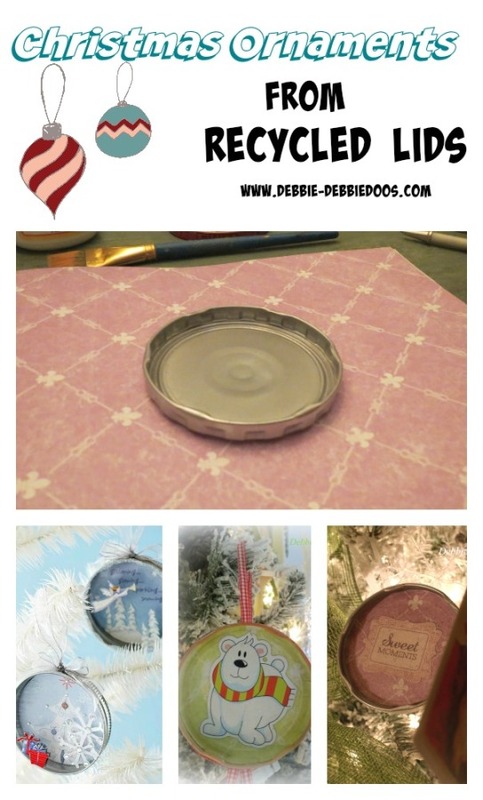 Thanks for stopping by and seeing my simple, diy recycled jar lid project. Thanks for stopping over today! If you are not a regular, I sure would love to see you back again. 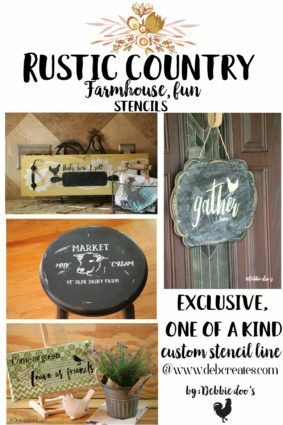 I share fast, budget friendly crafts, thrifty home decor and a recipe or two! Hi Debbie Dear! Oh, this is such a cute craft and it’s nice to see your mommy and sister playing along. I’ve been so troubled by the recent tragedy, I’ve had my blog quiet. But it’s time to get back to doing. You’re the bestest and I love your little picture with your cute hair! Love the jar lids! The picture of your sister cracks me up!!!! Fun times!!!! cute cute.. I am getting so many good ideas for the neighbor kids to have fun with. I can see these done for lots of holidays. glad you had a fun time with family. These are so adorable, Debbie! I think my grandgirls would really enjoy a project like this. Great job Debbie! I really like this craft. Thanks for sharing. These are so cute & easy to. But think your Mom’s beat ya on this one….ha,ha,,Merry Christmas ……….. 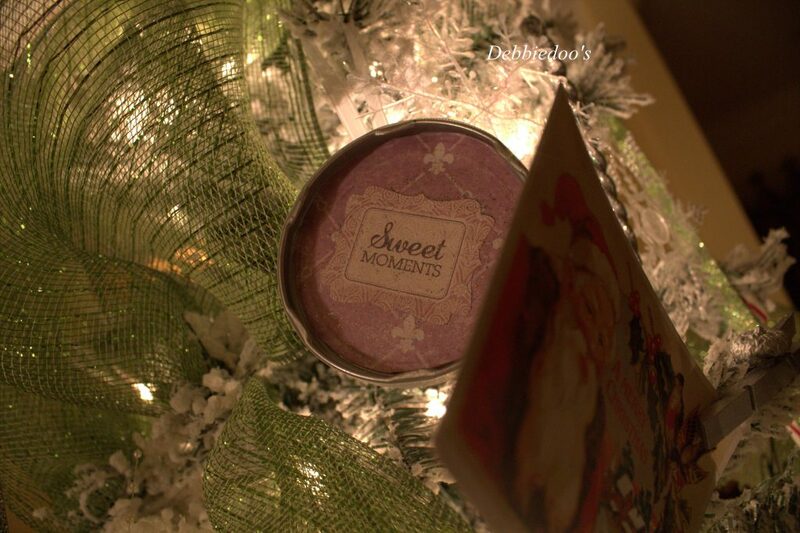 I agree…we all said Mom’s was the cutest:) Merry Christmas to you too. This is so sweet and great you could do it with your mom and sister. Love these kinds of things to do together and have the memories forever in the ornament. Merry Christmas dear blog friend. These are so adorable Debbie ! You all did a great job! I have to try these next year! 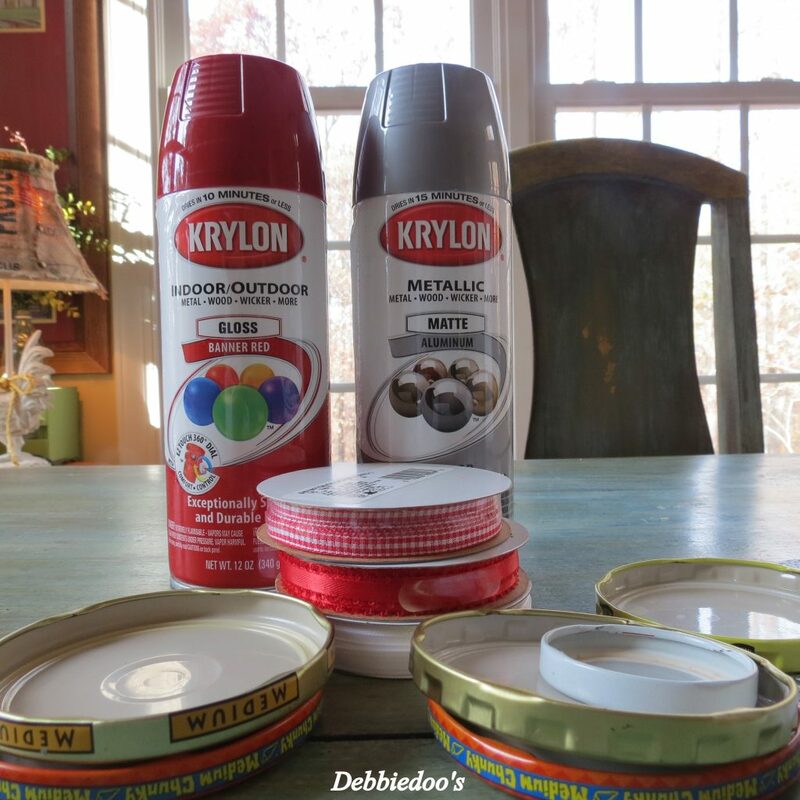 Cute idea and a great way to recycle those lids, Debbie! Just as cute as can be. 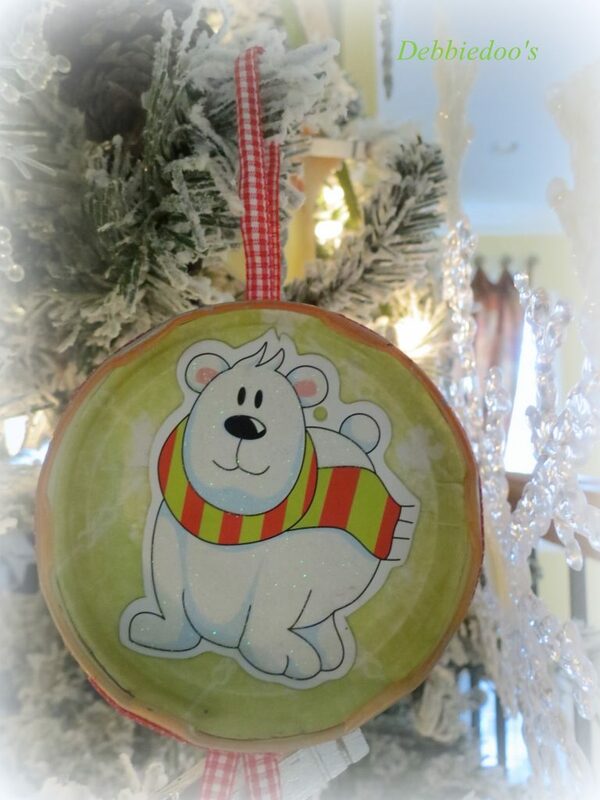 My post that published in the morning (Thurs) is a do it yourself tree decoration, too. Gee, I thought I was done with Christmas crafting, but I might have to give this a go! Thanks! This is right up my alley. 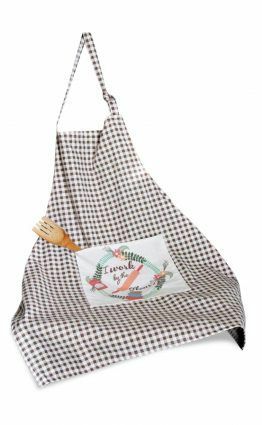 I love to make something out of what we would discard or recycle, I have a LOT of moldy old stuff in the refrigerator on a regular basis, and best of all it involves decoupage. Tell your mom and the other more reluctant elf that they get two thumb up! heheheheeee…I will Debbie:) I am sure little elves will be reading this post. I will never throw out another lid again. This is a fantastic project. I hope you and your family have a very Merry Christmas!